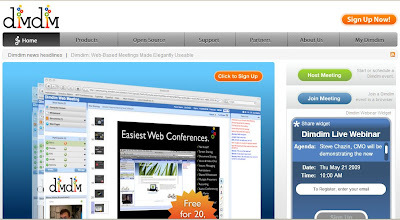 Visit http://www.dimdim.com to see a demonstration of a new and very powerful online conferencing tool. This is a very sleek system for personal or business use. I want to suggest you try http://www.showdocument.com - its an alternative tool for dimdim that allows document sharing and web meeting in real-time. all the participants in the session see each others' drawing, highlights, etc. It is free and requires no installation.